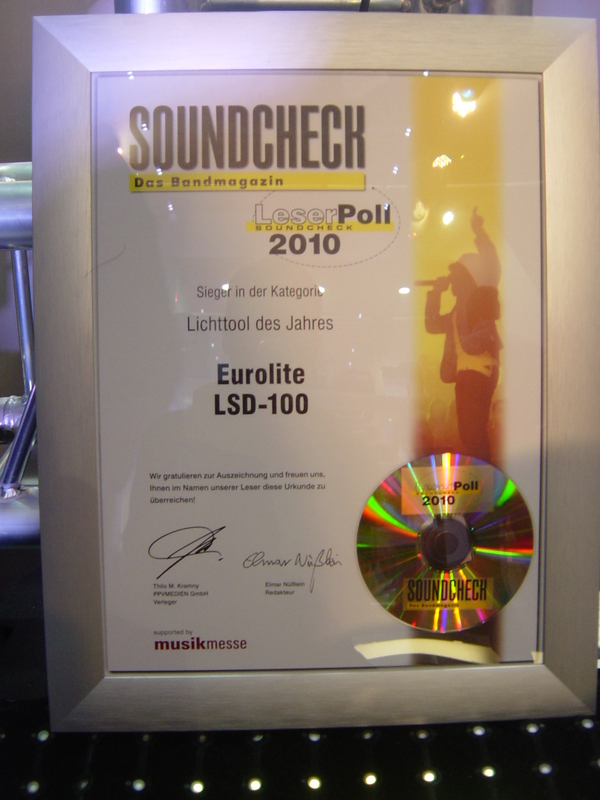 Successful start at prolight+sound: On the first day of the exhibition the eurolite LSD-100 curtain was crowned the winner in the category “Light tool of the year“ by the magazine Soundcheck. Readers of the magazine Soundcheck had chosen their favorite products and voted for the LED Soft Display during the last weeks – successfully! The award is of great importance, because instead of a jury, customers themselves made the decision. 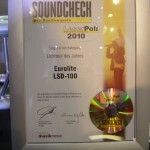 It is not for nothing that Eurolite LSD-100 is the readers favorite. 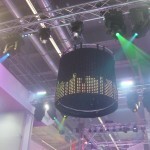 The LSDs are flexible curtains with a very low own weight. Even huge surfaces can quickly be mounted by only two persons – to connect the different curtains is a child’s play, by the way. 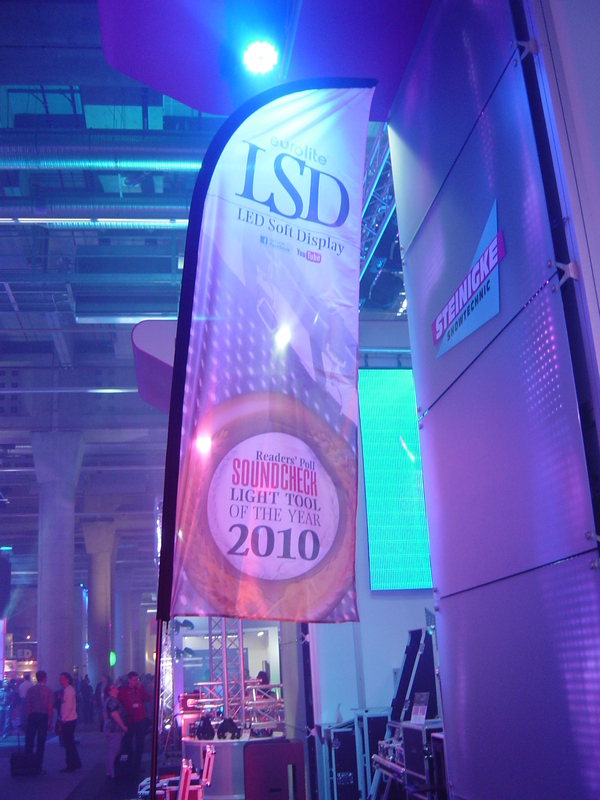 Whether for clubs, halls, open airs, shop windows or exhibitions, the LSD curtains are suitable for any advertising and entertaining purposes. 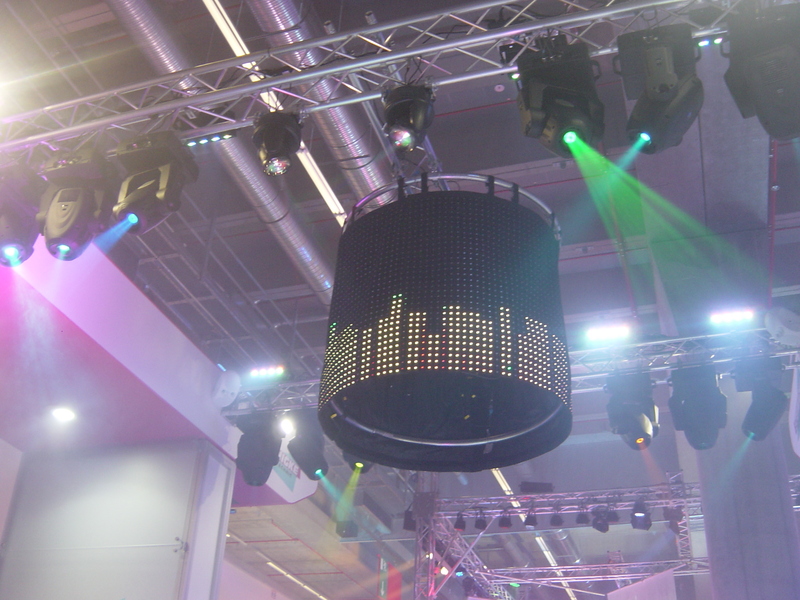 Compared with stiff LED panels the LED Soft Displays can be installed and disassembled quickly – ideal conditions for mobile use. 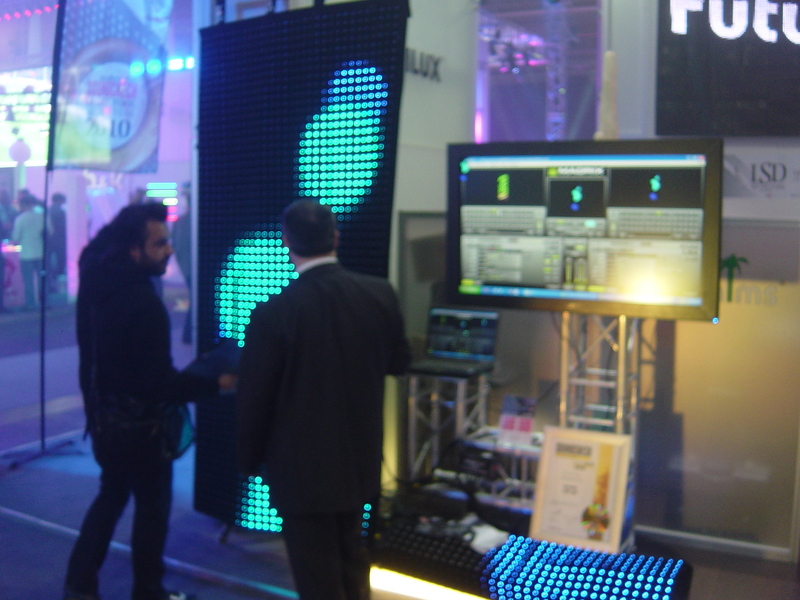 More videos of our EUROLITE LSD – LED Soft Displays you can find on YouTube. 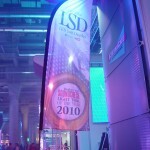 The first day of the fair: EUROLITE LSD-100 is light tool of the year, millionth invoice, Vossi and Simon on the stand. Our video team was on yesterday’s first day on the road and has recorded the most important “events”. 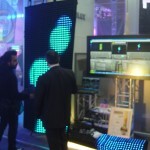 The most important is to report that our EUROLITE LSD-100 LED soft display is now Light tool of the Year. We naturally want to thank everyone who supported us in this poll. Then we had another reason to celebrate, because we drawour 1,000,000th invoice. 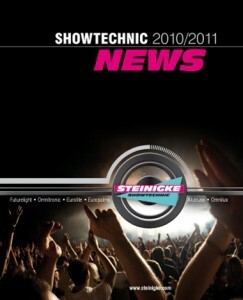 It hit an “old” customers and now good friend of the entire firm Steinigke. Congratulations once again from here. Who is not allowed to miss on this fair? Vossi. Actually, it is our employees used to be filmed but this time our video man Mittsch was faster and kept him fully. Vossi was not alone, however. He has brought his good friend and vlogger Simon from UK. Who also want to meet Vossi again, should spend more time at our booth in Hall 11.0 booth A05. He is really a nice guy. Also other YouTube activists were here or have announced themselves. There will be a true video-flood fall on us. In the evening we had the well-known happy hour. Here were brought back delicious cocktails and appetizers under the people and the result was nice and relaxed conversations. Those who missed it yesterday to get hold of, even after the official fair Finally, useful information can do so today. From 17:30 clock it’s time again. We look forward to you. Hall 11.0 Stand A05.